Looking for a Used IS 250 in your area? CarGurus has 3,252 nationwide IS 250 listings starting at $3,277. Redesigned for 2014, Lexus’s performance-oriented midsize enters 2015 with Siri Eyes Free and LED fog lights standard, otherwise basically unchanged. There’s also a few changes to option packages, including a standalone chance at a heated steering wheel and heated/ventilated seats included in the F Sport Package, but nothing drastically different. Even the 250C convertible remains on the previous generation’s platform—not that drivers have any complaints. Instead, driver commentary about the 2014 IS 250 is an interesting separation from the usual talk about an all-new model. There are no complaints. Not a single one. There’s nothing to nit-pick—every single driver simply gives the current IS 250 a blanket thumbs-up, 5 out of 5 stars and a “highly recommend.” This almost never happens in entry-level luxury segments. Lexus really turned a corner with this one. The secret to its success most likely lies in taking a cue from upper-crust luxury makes like Mercedes-Benz to create distinctly different driving characters in each IS. 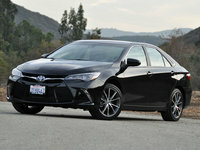 From the transmission’s shift map to its adaptive suspension, electric power steering effort and response ratios, each IS 250 is distinctly different from other versions (including the sport mods in the F Sport Package) and from the IS 350, which is geared more toward commuting comfort. And that attention to individualized detail is evident everywhere in the lineup, making for a kind of “no stone unturned” total package that drivers clearly appreciate. Last year also added passenger room without impacting performance or economy, which is quite an astounding feat that drivers noticed, too. Being on the larger end of midsize with seats specifically designed to maximize legroom means no passenger needs to stuff their knees into their chest to have fun in the IS 250. It drives like a compact, but sits like a full-size. That character noticeably shifts with each driving mode, ranging from Eco, Normal and Sport across the board, with all-wheel drive (AWD) models adding a Snow mode. Drivers report the advertised premium fuel economy is achievable by keeping it in Normal, Eco is best for city conditions, and Sport really turns up the fun but at a pretty significant 5 mpg chunk taken out of its usual 21 mpg city/30 highway in rear-wheel drive (RWD) trims, or 21/27 with AWD. 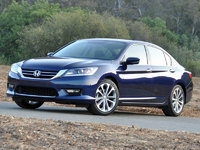 All that economy, and you still can get to 60 mph in 7.5 seconds with the 204-hp and 185-lb-ft/torque 2.5-liter V6. But if ride quality, economy and performance don’t quite fill your cup, rest assured Lexus layered on the convenience technologies, too. Blind-spot monitoring, lane-departure warnings, rear-cross traffic alert, a backup camera, 15-speaker Mark Levinson audio system, heated and ventilated seats, rain-sensing wipers and power-adjusted steering wheel are just a few of the available options. As one driver put it, Lexus offers everything you’ll actually use, and nothing that just looks cool on paper. 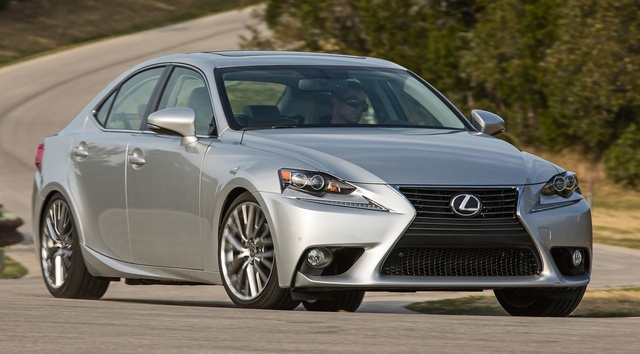 What's your take on the 2015 Lexus IS 250? GuruXX6RB Upgraded camry, probably Not. Dimension similar ? Personally i'd get a 2nd gen. Ls430 with super lowmiles in ( 60k ) range. Driven a 1998 LS 400, with 180k miles. Still a great car. And yes i never driven a Lambo Avent. 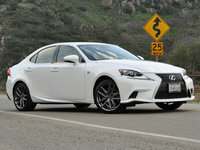 Little short on $ 600k..
Users ranked 2015 Lexus IS 250 against other cars which they drove/owned. Each ranking was based on 9 categories. Here is the summary of top rankings. 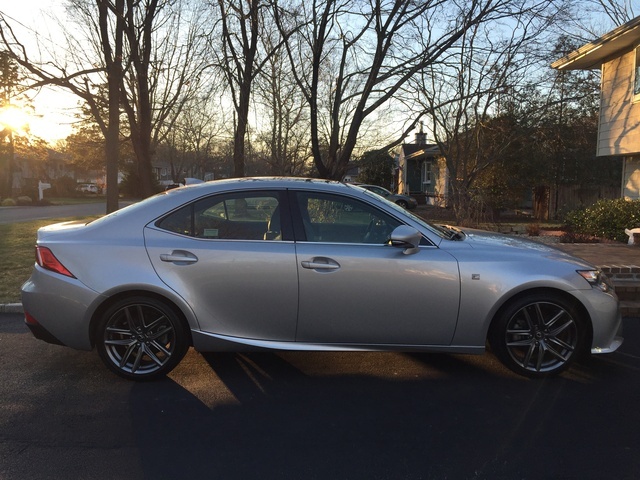 Have you driven a 2015 Lexus IS 250? Will Light Come On If I Need To Replace Tires? I have 33,000 miles on my car. Will the light come on if i need to replace tires? I tried to leave a review for a dealer and my email is blocked, why? ?